According to this thread on Photomalaysia, RM8,500 gets you a Nikon D700, body only. 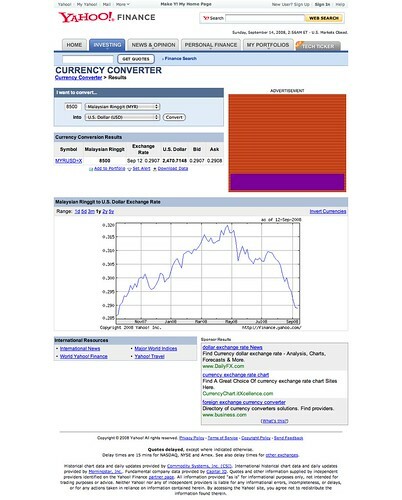 The thumbnail below is a screen capture of the currency conversion performed on September 12th, 2008. MYR8,500 is equivalent to about $2,471 USD. Click the thumbnail for a larger photo.